And The Winner Is....Alexis Gray!!! Congratulations are in order for Alexis Gray of the Doubletree Guest Suites Tampa Bay, who recently received top national honors for being recognized as a national winner of the Catch Me At My Best Program! For this contest, all of the DoubleTree team members participated in a customer focused service program initiated by the Doubletree Brand called Catch Me At My Best. Each team member had the opportunity to have special comment cards filled out from guests who “catch” them going above and beyond. Alexis was the top winner in the high customer contact category. Additionally, the names of those with the highest number of cards from each hotel were submitted to the corporate office for a chance to win a national award. Alexis was among those national winners and was received a cash prize, special recognition, and some other token prizes. All joking aside though, congratulations to Alexis and the staff over at The Doubletree Guest Suites Tampa Bay as they continue to be a shining examples of the hospitality industry here in Tampa Bay! 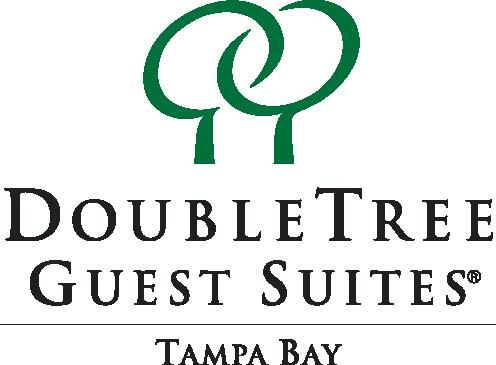 To see Alexis and the great staff in action, or to plan your next meeting or convention, please visit the Doubletree Guest Suites Tampa Bay website! That&apos;s all for now folks, but keep checking back for more on the Tampa Bay hospitality industry and Tampa Bay Meetings! This is Jerm signing off from your Tampa Bay Team!